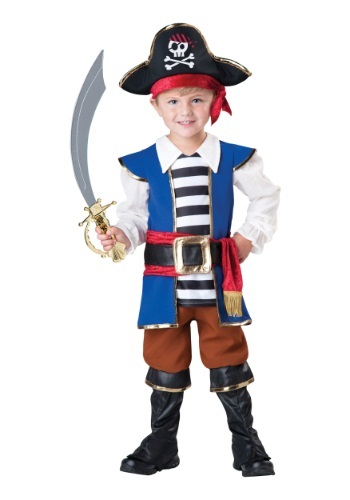 Toddler Pirate Captain Costume By: In Character for the 2015 Costume season. This toddler pirate captain costume is for little swashbucklers who can't wait until they grow up to join a band of pirates and sail off into the unknown. The costume will give them a head start on their career of piracy but they'll still have to obey their mother and be home in time for dinner!